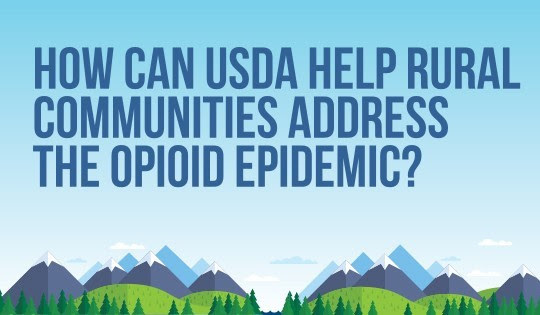 How Can USDA Help Rural Communities Address the Opioid Epidemic? – Virginia Prevention Works! This is an infographic that USDA put together. We have recently learned about funding streams that go through USDA that could potentially help local communities that have active coalitions with opioid and addiction work. They may be prepared to look into and apply for some of those funds.